Lysol disinfectants are used every day in millions of homes and facilities to kill germs and disinfect surfaces. 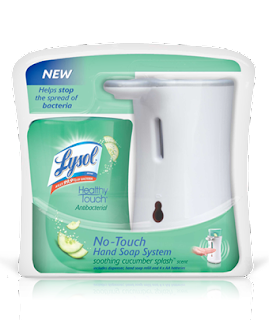 Their new healthy touch soap systems are the next generation of germ killing products to help keep everyone healthy and germ free. Automated touchless soap systems for your sinks and kitchens.